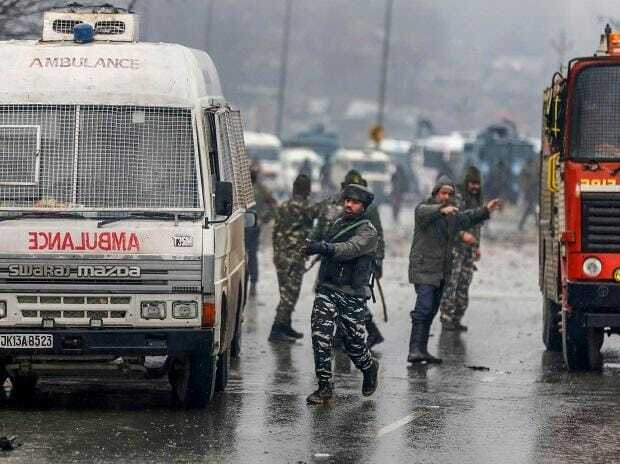 India on Saturday hiked the customs duty on all goods imported from Pakistan to 200 per cent, in the aftermath of the Pulwama terrorist attack that claimed the lives of 40 Central Reserve Police Force personnel. In effect, according to agency reports, slapping 200 per cent import duty means almost banning imports from Pakistan. That is because such a big hike in the customs duty will drastically increase the prices of Pakistani goods coming to India, thereby making them far less competitive against other imported goods. What are the products most likely to be hit? The top ten products Pakistan exports to India include fresh fruits, cement, petroleum products, minerals and leather, according to agency reports. Further, processed minerals, inorganic chemicals, raw cotton, cotton fabrics, and glass and glassware are also among items that account for 95 per cent of the total shipments from Pakistan to India. The two main items imported from Pakistan are fruits and cement, which attracted customs duty of 30-50 % and 7.5%, respectively. Domestic importers who have already placed their orders from Pakistan may face issues after this decision. They may have to pay the 200% duty or undertake lot of paperwork to get their consignment. How is this linked to India withdrawing MFN status to Pakistan? The duty hike came a day after India withdrew the 'most-favoured nation' (MFN) status it had granted to Pakistan. The move, as reported earlier, enabled India to increase customs duty on goods coming from the neighbouring country. India had granted MFN status to Pakistan in 1996. However, Pakistan had not extended the same status to India. The World Trade Organization's (WTO's) General Agreement on Tariffs and Trade governs the specifics of what it means to grant MFN status to a country. In essence, countries that are a signatory to the agreement have agreed not to discriminate against each other and the rest of the WTO member nations. Is this a big blow to Pakistan? The top 10 export destinations for Pakistani goods do not include India, as reported earlier. However, trade with India is crucial for select goods, like leather hides and cheaper variants of fertilisers. What will be the impact on Indian trade? The numbers tell the story. Bilateral trade between India and Pakistan in 2017-18 stood at $2.4 billion, which amounts to just 0.3 per cent of India's overall merchandise trade. India's exports to Pakistan stood at $1.9 billion that year, or just 0.63 per cent of its total exports. Imports from Pakistan amounted to $488 million, or 0.10 per cent of India's total inward shipments. What other measures can India take against Pakistan on the trade front? In the wake of the attack, government officials told Business Standard that India is considering suspending trade ties with Pakistan. Any decision to stop exports to Pakistan will likely affect its cotton industry, which relies on cotton bales sourced from India. Further, Pakistan is also dependent on cheaper varieties of Indian pharmaceutical products and machinery items, which it will find difficult to source from other countries. Moreover, India is further expected to seek Pakistan’s blacklisting in the upcoming Financial Action Task Force (FATF) meeting, and according to reports, Indian agencies are already busy preparing a dossier to establish Pakistan’s culpability in the recent Pulwama attack. Pakistan is currently on the FATF grey list. The meeting is taking place on February 17-22 in Paris. An Economic Times report said India will also impress upon the European Commission to act on its proposal to blacklist Pakistan. The commission typically does that to countries on the FATF grey list. A country is placed on the FATF blacklist if it is deemed to be "non-cooperative" in the global fight against terrorist financing and money laundering. If the FATF blacklists Pakistan, it could lead to a downgrading of the country by multilateral lenders such as the International Monetary Fund, World Bank and the Asian Development Bank. It may also lead to a reduction in risk rating by ratings agencies such as Moody's, S&P and Fitch.